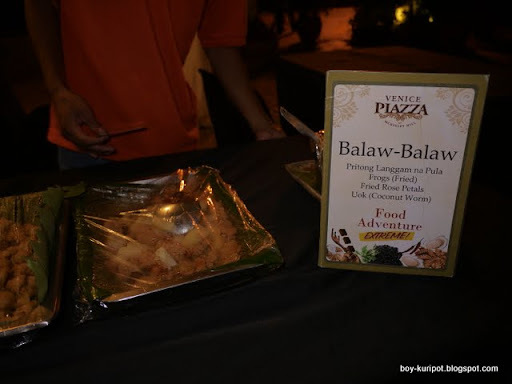 My Food Adventure at Piazza ~ Philippine Freebies, Promos, Contests and MORE! 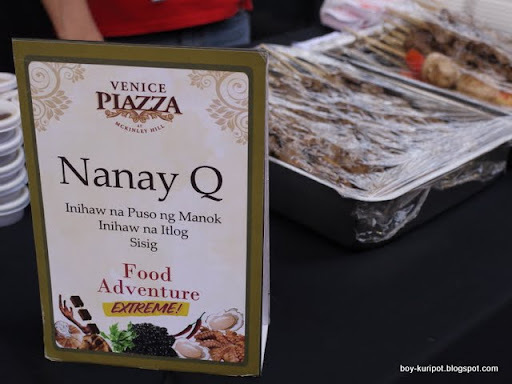 Finally got to try out last week the food event everybody seems to be talking about, the Food Adventure tour at Venice Piazza. 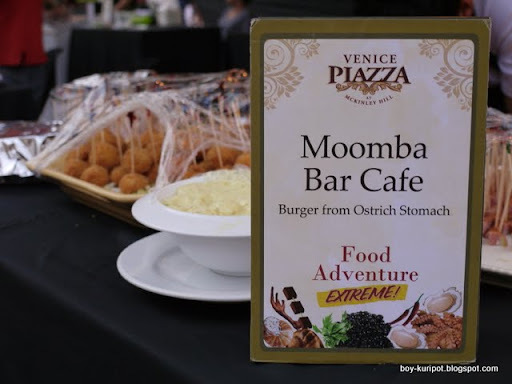 If you remember, I blogged about the Food Adventure tour a few weeks back. I thought it already ended provided that the promo mechanics forwarded to me indicated that the event was only until the month of June. Good thing they extended the promotion until July 30, 2011. 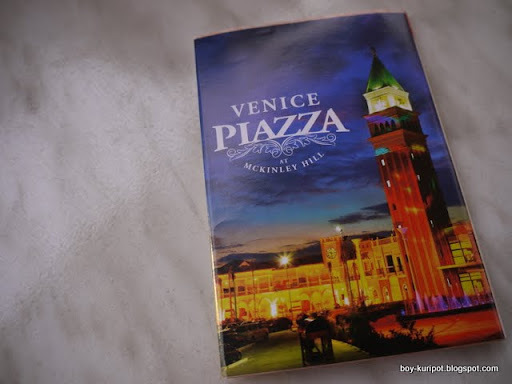 I arrived around 6PM at Venice Piazza. I got my passport and opened it up to see what was in store for me and my tummy for the hours ahead. 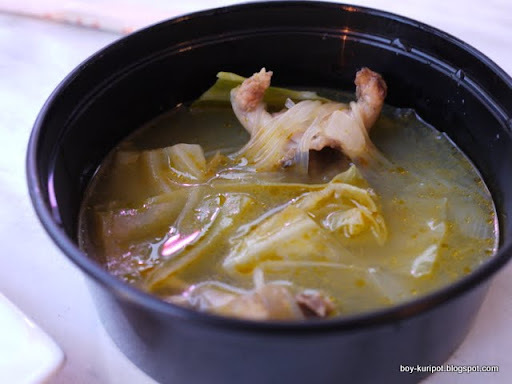 From the 12 dishes from 12 different restaurants, it was a daunting task to select what I should try first. The passport opened up like a city map brochure. It contained the rules of the Food Adventure and the 12 food selections complete with photo and logo of the restaurant where it came from. Just below the food selections were 2 fields: the date claimed and the signature of the restaurant staff. 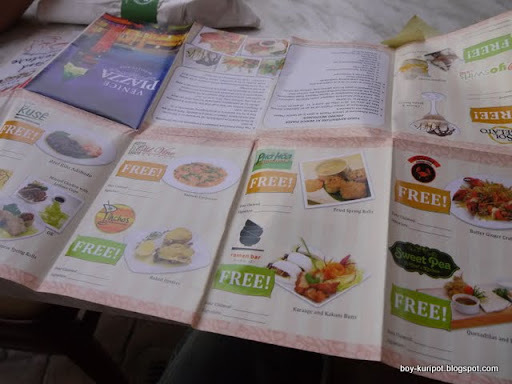 To claim the food you want, you have to go to that restaurant where your food is located, surrender the passport, then have it signed. Once that's done, you wait for the food to come. 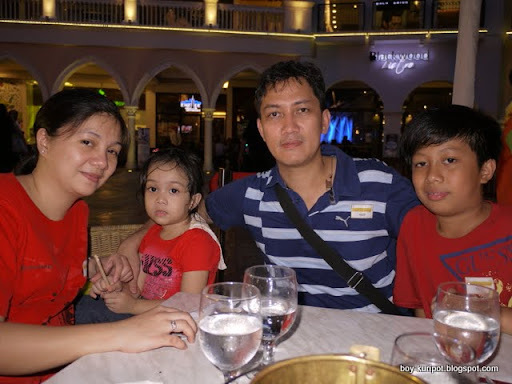 Eating with me on that wonderful Saturday evening was Mylene (@JohnDenise22). The reader who won in the blog promo I ran. She's with her wonderful kids and loving husband. 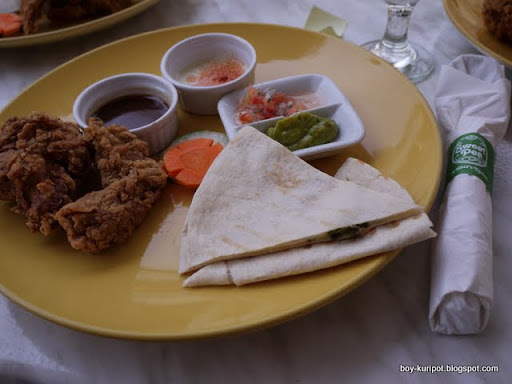 First off, we ordered the Sweet Pea’s Quesadillas and Buffalo Wings. It was a good start. I liked both the quesadillas and buffalo wings. The dips and toppings is a must when eating this dish. 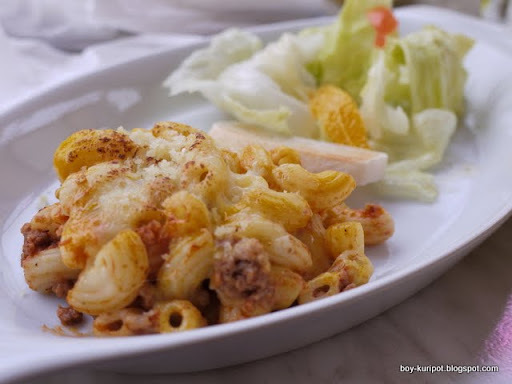 Next up was the Empire Deli & Restaurant’s Baked Macaroni with Orange Summer Salad. I wasn't a fan of the macaroni because it was just a regular plain macaroni. Good thing the salad was there to save the dish from being untouched. I think kids would like this though. We next ordered Pho Hoa’s Fried Spring Rolls. It was so-so for me. 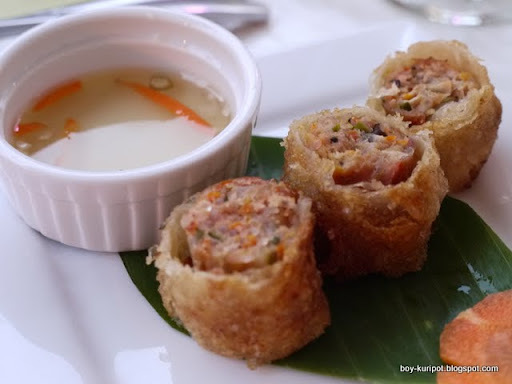 The spring rolls wasn't that crunchy as I wanted it to be. We all loved the Baked Oysters by Pinchos Restaurant and Bar. 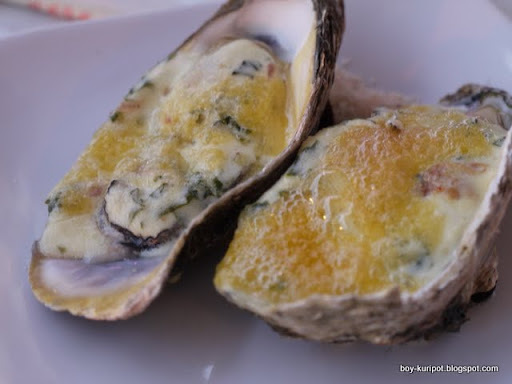 The 2 pcs oysters were baked to perfection with cheese and spinach on top. It left me craving for more. 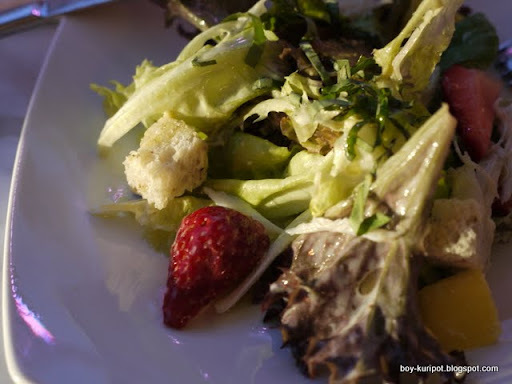 The Crab and Mango Salad Blackwood Bistro was quite enjoyable. Besides the crab and mango, there were also some slices of strawberries. What a surprise! 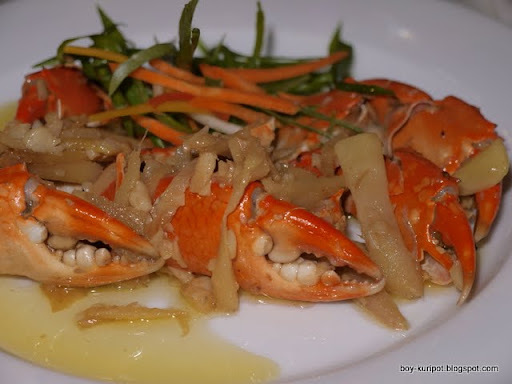 Probably one of the best dishes of the night was Red Crab Alimango House’s Butter Ginger Crab Claws. As you can see in the photo above, they were quite generous on the serving. Though the crabs were small in size, it made up on the meat which was packed! 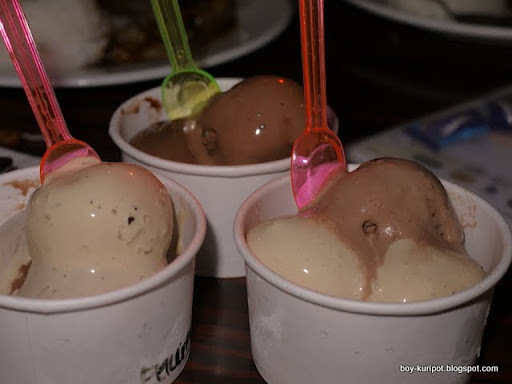 If you plan to take on the Sol Gelato, get ready to choose 3 flavors. I suggest you try and order the Ferrero flavor. It's one of my favorite. 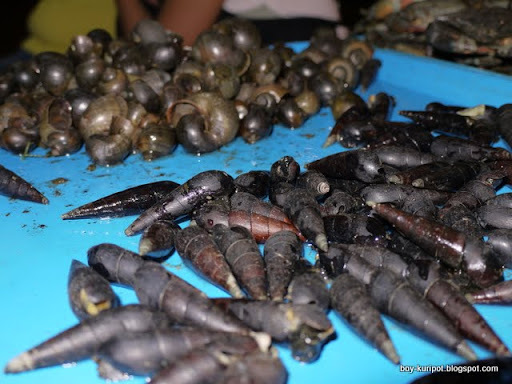 We also go to try out the Food Adventure Extreme where there were selections of exotic of foods like frogs, snails, and other street food delicacies. This isn't included in the passport anymore. 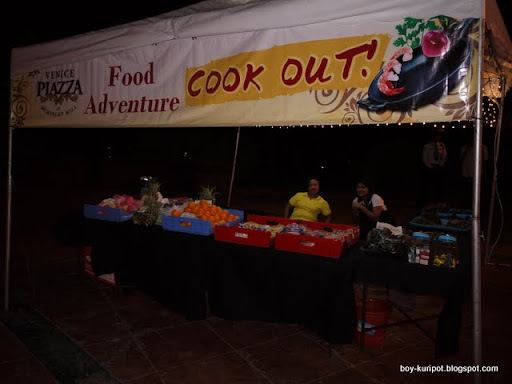 On the far end of the plaza, there's a tent that sells fresh produce and seafood which you can have Red Crab cook for you. There's no instruction on how you should proceed so it's best to ask the person in charge of the tent.